“The country saw 355 incidents of violence, including 200 major incidents, during the last year,” Joseph Dias, convener of Mumbai-based Catholic Secular Forum, told World Watch Monitor. The forum’s report, released on 18 January, concluded that it is “not safe” to be a Christian in India. Seven pastors were killed, nuns were raped and hundreds of Christians were arrested under India’s anti-conversions laws. The report came as 12 people, including a blind couple and their three-year-old son, were arrested in the Dhar district of Madhya Pradesh, under the state’s anti-conversion law, which forbids conversions through “allurement” or “force”. 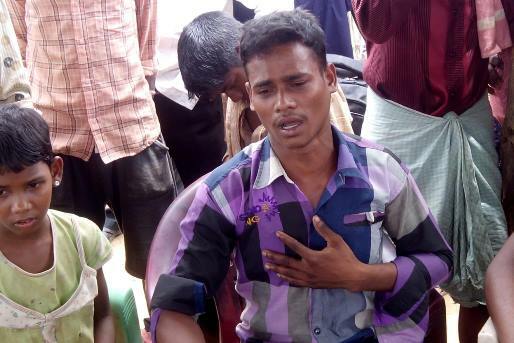 Seven of the arrested, including the blind couple, were released from jail on 17 January, according to local pastor Suresh Mandlo. “Even the government is acting in a partisan manner,” added Dias, highlighting two recent high-profile cases involving foreign clerics. In the first case, Sister Bertilla Capra, an Italian Catholic nun who had been working with leprosy victims for four decades, was denied a renewal of her visa. Then, Hegumen Seraphim, a Russian Orthodox priest, was stopped at Chennai International Airport and deported. The Russian embassy said the treatment of the priest, who was detained at the airport for seven hours and denied food, was “unacceptable”. “Such disrespect, shown to a priest from a friendly country, goes against the spirit of mutual affinity and cooperation characteristic of Russian-Indian relationship,” the statement added. Dias said that “all these incidents point to an organised targeting of Christians at different levels”. “The hate speech is turning worse and the conversion rhetoric of the saffron family [Hindu fundamentalists] is vitiating the atmosphere and paving way for atrocities,” he added. Days before the Catholic Secular Forum issued its report, the Vishwa Hindu Parishad, or World Hindu Council, claimed it had recently undertaken mass re-conversions of Christians and Muslims to Hinduism. Praveen Togadia, the VHP’s international working president, declared on 8 January that the VHP had reconverted more than 500,000 Christians and 250,000 Muslims in the last decade with its Ghar Wapsi, or homecoming, initiative. Two days later, VHP national general secretary Y. Raghavulu claimed that 800,000 Hindus were being converted to other faiths every year in India. Hindu fundamentalists, Dayal added, “want to criminalise Christian presence and social work as a conversion conspiracy by Western powers”. Rev. 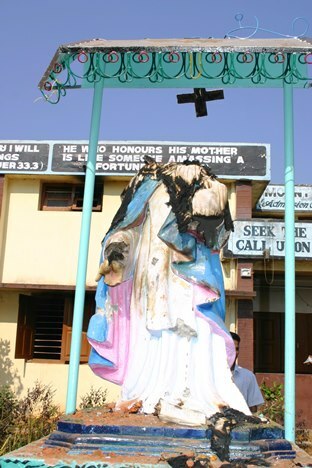 Vijayesh Lal, national director of the Religious Liberty Commission of the Evangelical Fellowship of India, told World Watch Monitor that “violence against Christians has always been justified using the propaganda about conversion”.